Sustainable energy company Clarke Energy has appointed HGA Creative Communications to deliver an event in the first week of November. 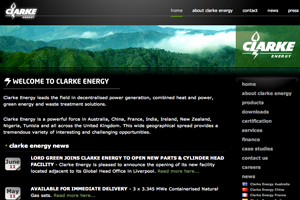 The Clarke Energy Conference will be held at The Vincent Hotel in Southport for 50 delegates from across the world. HGA won the business following a recommendation from Clarke Energy’s Manchester-based agency Glorious. IT apprenticeships provider Zenos also appointed HGA to deliver a 350-staff conference at the Birmingham Hilton in October.